IndyCar driver Juan Pablo Montoya is ready to make a return to NASCAR, albeit just for two races. Juan Pablo Montoya will make a two-race return to NASCAR this season, driving for Team Penske in the Brickyard 400 and at Michigan International Speedway. Montoya spent the last eight years in NASCAR before making his return this season to open-wheel racing. Montoya will drive the No. 12 SKF-sponsored Ford Fusion on June 15 at Michigan, while his sponsor for the July 27 race at Indianapolis Motor Speedway will be announced at a later date. 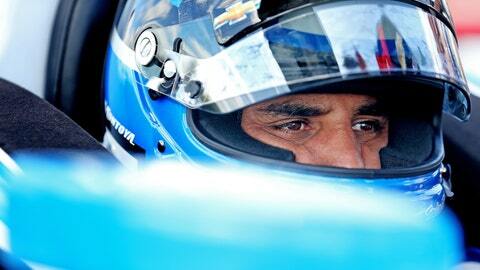 Montoya is set to race in both the Indianapolis 500 and the Brickyard 400. NASCAR veteran Greg Erwin will work with Montoya as crew chief of the No. 12 Ford entry. "Juan is a proven winner in multiple racing disciplines and he is one of the most versatile racecar drivers competing today," said team owner Roger Penske. "Michigan and Indianapolis are two important races for Team Penske. We know Juan has the ability to race for wins in both of those events while still focusing on his full-time program in the Verizon IndyCar Series." A former full-time NASCAR competitor from 2007-2013, Montoya has two wins, 24 top-five finishes and nine pole awards in his Sprint Cup Series career. He owns career-best finishes of sixth at MIS and a top result of second at IMS. Montoya will join the Team Penske duo of Brad Keselowski and Joey Logano, both of whom have already visited Victory Lane in 2014. "It has been a good start to the season with Team Penske in the Verizon IndyCar Series and it will be fun to get back behind the wheel of the Cup car," said Montoya. "It’s hard to believe, but Roger Penske has never won the Brickyard 400. I think that Brad, Joey and I will give Roger and Team Penske a great opportunity to check that off the list and we should be strong at Michigan as well." Since joining Team Penske in 2012, a SKF-sponsored entry has made three NASCAR Sprint Cup Series starts. SKF earned its first NASCAR victory with Team Penske and Keselowski in the Nationwide Series last season. 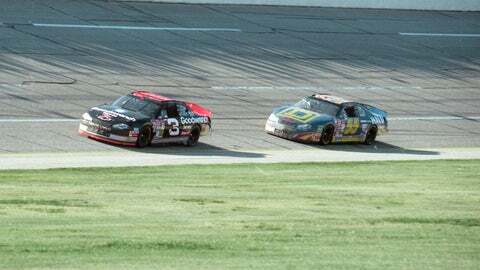 In addition to the race at MIS with Montoya, the No. 12 SKF Ford will also compete at Kansas on May 10 and at Talladega Superspeedway on Oct. 19 with Team Penske driver Ryan Blaney.